Today's post is about a product that, when it was released I was intrigued by and wondered what all the "fuss" around the product was about. 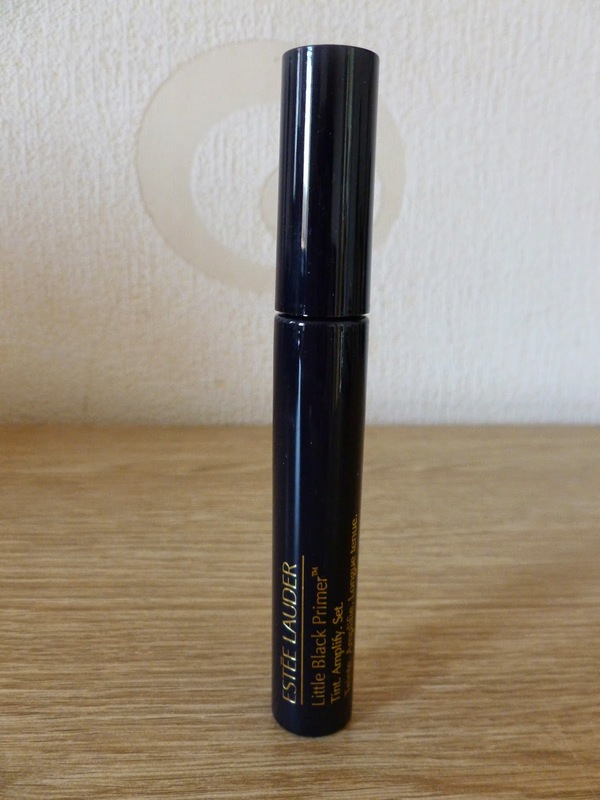 It is the Estee Lauder Little Black Primer, a lash primer that can be used three ways. Tint: Colours and lifts bare lashes so they stay silky black throughout the day and even overnight. No well-dressed lashes should be without it.Patent-pending formula. When I first heard about the little black primer I have to admit I read about it a few times and thought to myself "yeah yeah, just another gimmick" and to be honest I didn't think too much else about it until I kindly received it as a birthday gift from my daughters. 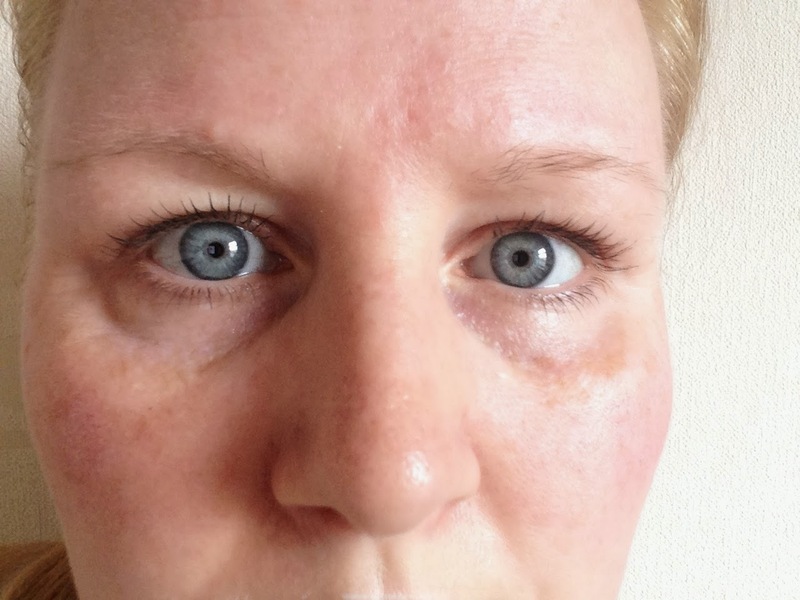 If you've been a reader of my blog or watched my You tube videos for any length of time you'll know that I have a bit of a problem where wearing mascara is concerned, if I wear a non waterproof mascara they smudge or 'blob' onto my socket bone leaving unsightly black marks, it's a nightmare and drives me absolutely mad. I'd read lots of different blog posts and beauty articles on the little black primer and I was mainly interested in the setting aspect of the product the way it was able to turn all mascaras into a waterproof product, and more importantly smudge free. To be completely honest, had I not been bought this as a gift I doubt very much I would have bought it for myself purely because I saw it as "just another gimmick", but was it? I have used the LBP all three ways numerous times since I first got it in February. It's lovely for days when I don't really want to wear make up but want to look a bit more alive, it coats my lashes nicely and separates them and gives them length and just gives them a bit of something extra, a bit like when I have them tinted at a salon, that kind of look but better. 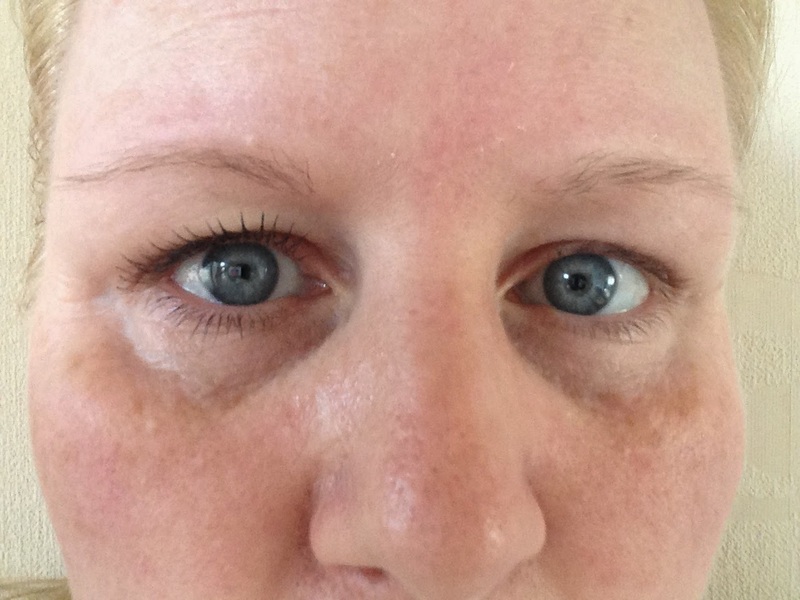 As you can see from the photograph above, with one coat of the LBP my lashes are nicely coated and separated and look longer too, if I don't want to wear much make up but want a bit of something it is ideal for those days. I have used the LBP before mascara too and I find it helps to keep the look that a certain mascara gives without any flaking, sometimes in the past I've found that I'll really like the look a certain mascara gives but then throughout the day my lashes haven't stayed looking as good as they did when I first applied it but with the LBP I find the mascara looks the same all day. My absolute favourite way of using the LBP though is over the top of mascara, as I said I struggle with mascara smudging or blobbing and it can completely ruin my make up after an hour meaning there are a lot of mascaras I can't wear, and I bought a new Maybelline mascara (review here) a few weeks ago, unfortunately it isn't waterproof and did smudge/blob but when I applied the LBP over the top of it I didn't have any smudging at all, I was so impressed. I have tried the primer over several mascaras that I own but cannot use and they are all fine when I use the primer over the top. To me this is invaluable and I am so so impressed. 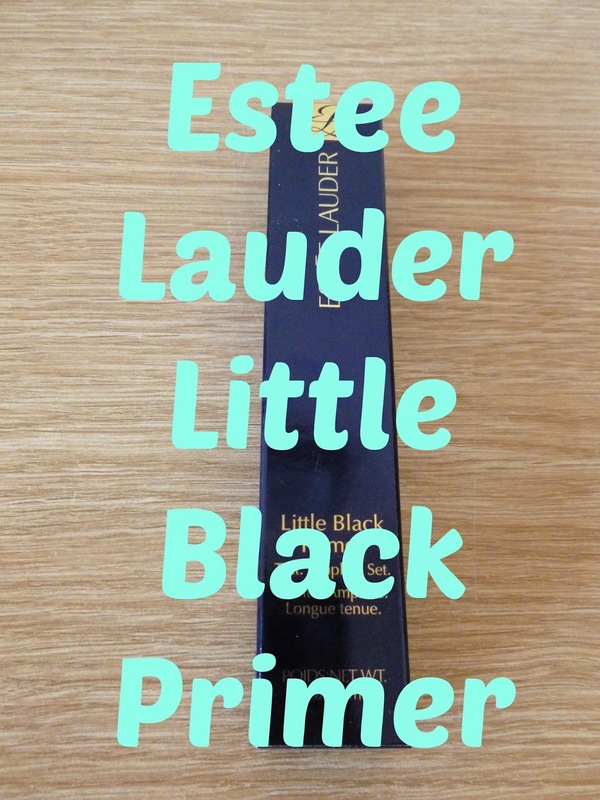 My overall thoughts on the Estee Lauder Little Black Primer are that it does exactly what it says on the tin, as I said my first thoughts when the product was released were that it was probably "just another gimmick" but it isn't at all and it really does do what it says it will and I would highly recommend it and would 100% re purchase it when mine runs out. 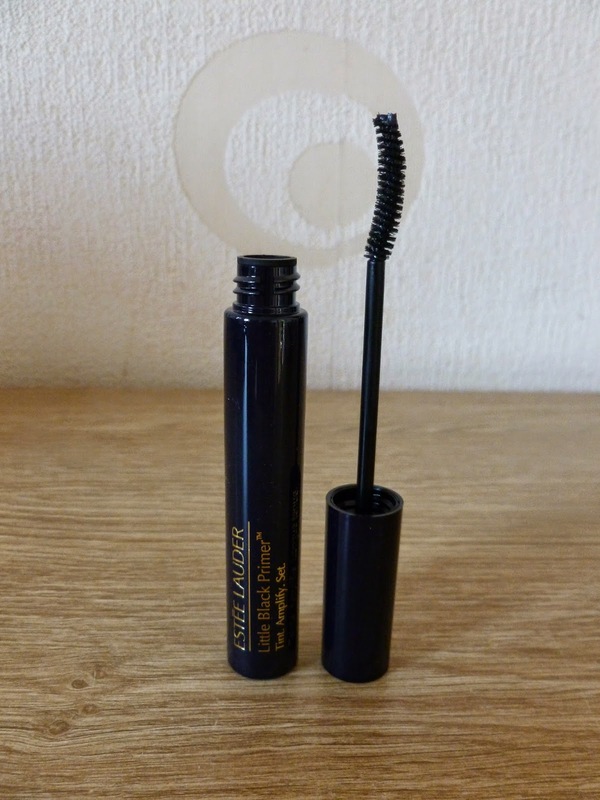 It isn't a budget product at £20 but if like me you really struggle to wear most mascaras it really is a handy product to own, I love the look it gives me when I wear it on it's own and it has been invaluable for me when it comes to wearing non waterproof mascaras, it really is an amazing product and one I will definitely be keeping in my collection and re purchasing many times in the future. If you would like to try the Estee Lauder Little Black Primer, you can find it on line at Debenhams and House Of Fraser for £20.00. Have you tried the Little Black Primer? Have you thought something would be a gimmick then found out it's an amazing product? Let me know in the comments.